Indian-American political candidates are breaking a whole new glass ceiling as 20 U.S. Congressional candidates raised a record 15.5 million dollars in political donations this election period. Seven of the candidates have each individually raised over 1 million dollars this election period, and leader of the pack, U.S. Representative Raja Krishnamoorthi, has raised more than $3.5 million in his re-election campaign in Illinois’ 8th Congressional District. Ro Khanna, who is seeking re-election from California’s 17th Congressional District, has raised $2 million, according to the Federal Election Commission. Congressman Khanna is followed by Dr. Ami Bera ($1.7 million), who is seeking his fourth consecutive term in the House in California’s 7th Congressional District. Pramila Jayapal, running for a second term in Washington’s 7th Congressional District, has raised $1.3 million. These are awe-inspiring numbers considering the elections are still not for another four months. The impressive amount of funding goes on to show the support received by Indian-American candidates. Indian-American candidates have established a solid foundation of community supporters who are not afraid to back their support with their financials. The networks of family and friends that exist between Indian-Americans is not only growing in numbers but also increasing in political sophistication and organization. 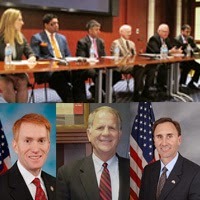 The record-breaking funds raised speak to the dedication of the Indian American community supporting these candidates. In these contemporary times filled with constant advertisements, campaign donations can go a long way to help get the word about the candidates’ race, and their platforms. Overall, it is great to see the community support behind Indian American candidates as they make a bid to represent their respective constituents. If you would like to support a candidate in your district or find out more about the Indian American candidates running this election period, please visit the USINPAC YouTube page and check out our 2018 Summer Interview Series. On June 29, the Democratic National Committee (DNC) announced the appointment of Seema Nanda, an Indian American executive, as its incoming CEO. Nanda will take over the position from Mary Beth Cahill, the DNC’s interim CEO, later this month. The search for the DNC’s new CEO started after former chief executive Jess O’Connell left the organization in January. After a lengthy search, the DNC tapped on the talents of Seema Nanda, who will be departing her current role as the executive vice president and COO at the Leadership Conference on Civil and Human Rights. Interim CEO, Mary Beth Cahill said that Nanda undoubtedly fit the bill as the next Chief executive of the DNC. “With Seema joining our senior leadership team, I know that the DNC will be in good hands,” she said. A graduate of Boston College Law School and Brown University, Nanda is a member of the Massachusetts Bar Association. She has previously worked with the Civil Rights Division of the Department of Justice, and the Department of Labor. At the Department of Labor, Nanda served as DNC chair Tom Perez’ chief of staff. Nanda stated that she was humbled and honored by the appointment. “People are hurting all across our country. And I believe that Democrats are offering the positive solutions so desperately-needed right now – solutions forged by the strength of our diversity, the rigor of our ideas, and the decency of our values. I am grateful to Chairman Perez and Mary Beth for selecting me, and I look forward to joining my new DNC colleagues in the fight for our nation’s values and future.” Nanda said in a press release. Nanda’s appointment as the DNC’s chief executive is a reiteration of the fact that Indian – Americans are becoming more politically active. A record number of Indian – Americans are running for public offices in 2018. USINPAC is current reaching out to Seema Nanda’s team to try and schedule an interview. We believe that Nanda’s new position as CEO of the DNC is further proof that Indian-Americans are rising within politics, and USINPAC is committed to keeping up to date with the latest Indian-American political news. President Barack Obama nominates Indian-American Geeta Pasi as US envoy to Chad! On the 19th of April, 2016, United States President Barack Obama nominated Geeta Pasi, an Indian-American, as the country’s next envoy to Chad. Ms Pasi served as the United States Ambassador to Djibouti from 2011 to 2014, is a career member of the Foreign Service and Class of Minister-Counselor. At present, she serves as the Director of the Office of Career Development and Assignments in the Bureau of Human Resources at the Department of State. Since joining the Foreign Service in 1988, Geeta Pasi also served at a number of diplomatic positions in Cameroon, Ghana, India and Romania. Pasi received her BA from Duke University and an MA in French Studies from New York University. To add to her wealthy experience, Ms Pasi was also the Director of the Office of East African Affairs in the Bureau of African Affairs from 2009 to 2011, Deputy Chief of Mission at the US Embassy in Dhaka from 2006 to 2009 and Deputy Principal Officer at the US Consulate in Frankfurt, Germany from 2003 to 2006. She also worked as an institutional financial market researcher in New York. “I am pleased to announce that these experienced and committed individuals have decided to serve our country. I look forward to working with them,” President Obama said in a statement issued by the White House on April 19. The appointment of Geeta Pasi is another milestone for the Indian-American community to celebrate with pride in their hearts, on the everlasting successes and contributions by these influential figures. 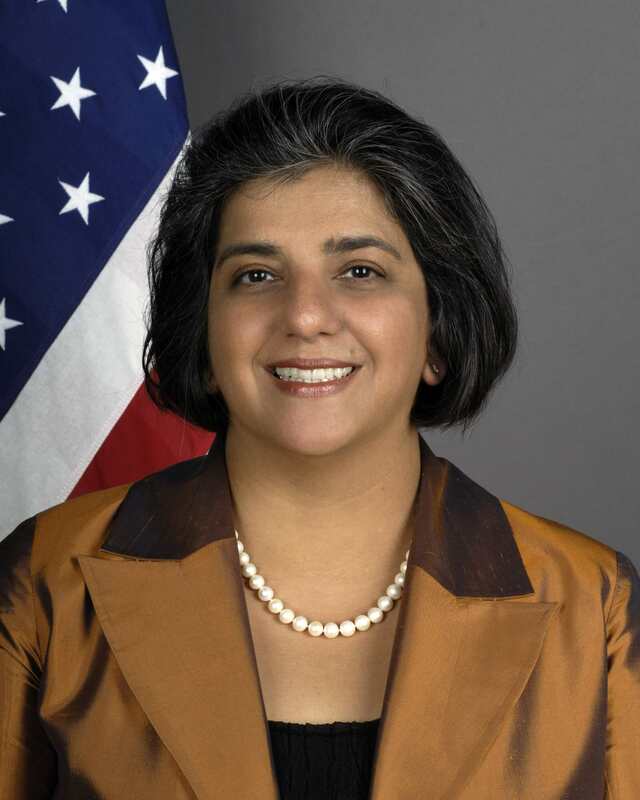 USINAPAC congratulates Geeta Pasi on her massive achievement and appointment as US envoy to Chad. Renowned businessman and legislative genius Raja Krishnamoothi was a front-runner for the 8th Congressional District race, who registered a glorious win in the Democratic Congressional primary in the State of Illinois, defeating the state Senator. Krishnamoorthi’s victory is an inspiration to all Indian Americans and this historic opportunity represents a chance of a lifetime for the current and future generations. It is a matter of immense pride and the dawn of new shinning hope among all Indian Americans, for another individual of Indian blood to be elected to the US House of Representatives in the November general elections. Krishnamoorthi polled 57 percent of votes defeating his arch rivals – State Senator Mike Noland, who bagged 29 percent and Deb Bullwinkel at 13 percent. Raja Krishnamoorthi hails from New Delhi, India and graduated with a mechanical engineering degree from Princeton University, New Jersey, followed by a degree with honors in Law from Harvard in the year 2000. He served as a policy director and advisor for Barrack Obama’s US Senate campaign in 2004 as well as the Presidential campaign in 2008. He is currently the President of Sivananthan Labs and Episolar Inc that manufacture and sell products in the national security and renewable energy industries. He is also the co-founder of Inspire, a nonprofit organization and has served as the Vice Chairman of Illinois Innovation Council. 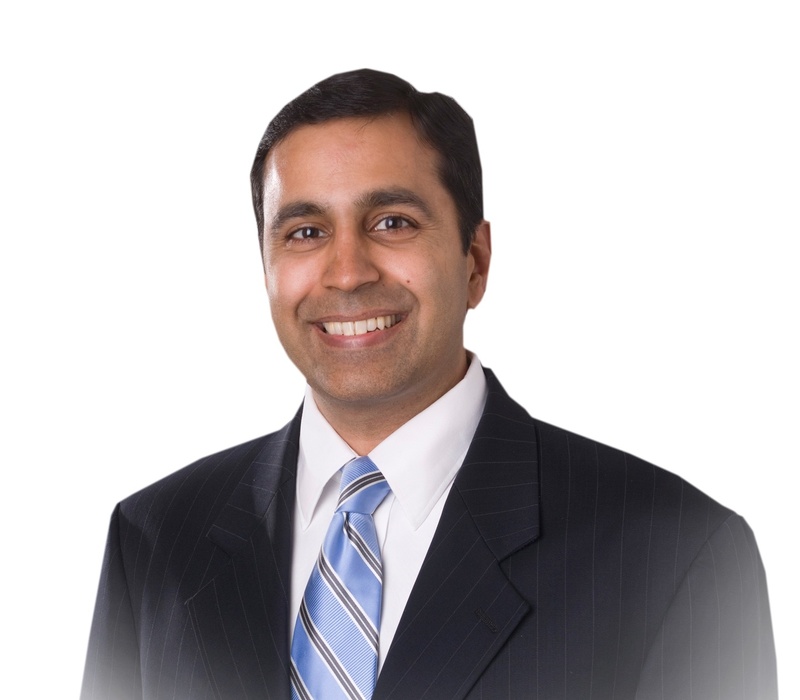 USINPAC was honored to host a radio interview with Raja Krishnamoorthi where he spoke about his vision and ideas about the new economy- including strengthening the quality of life of working families, making college affordable, bolstering small businesses, reforming immigration system and improving America’s infrastructure. More importantly, he stressed on pursuing and bringing about changes in economic equality, social security, healthcare and advocating policies to increase minimum wages. Greetings from USINPAC on India’s 67th Independence day! Welcome to USINPAC News Bulletin. Read about our latest activities, upcoming events and support USINPAC! Recently the US India Political Action Committee (USINPAC) concluded the grassroots campaign launched two months ago urging Speaker John Boehner to schedule a Joint Session of Congress Address by Prime Minister Modi. The campaign saw 88 members signing up and USINPAC extends its heartfelt thanks to each and every member of Congress – Senate and House – who participated in this bipartisan effort. To see the full list of members who signed up, click here. On behalf of Indian American grassroots activists particularly from Ohio, USINPAC appreciates Speaker John A Boehner’s leadership in reaching out to PM Modi. USINPAC looks forward to the US India dialogue in September during Indian PM Modi’s visit to US. Speaker Boehner has issued the attached letter to Prime Minister Modi. To read the letter from Speaker Boehner, click here. Recently, USINPAC organized a Congressional Briefing on US Liquefied Natural Gas (LNG) exports to India on the Capitol Hill. USINPAC’s LNG initiative was launched in 2013. The LNG Initiative is USINPAC’s project to decisively influence US policy on expediting LNG exports to India and thus help foster a long-term collaboration in LNG trade between the two countries. Anti-Modi Petition needs to be removed…Quickly! This is the only webinar session which has sustained purely on the merit of the innovative discussions and the audience interactions with eminent speakers who week after week join USINPAC to discuss and analyze topics which are trending and are extremely relevant to Indian Americans. The leadership dialogue sessions have been instrumental to the USINPAC mission of serving as a unified voice of the Indian American community. The topic for the next dialogue on August 16th is: Quo Vadis India on the 67th anniversary of Independence. 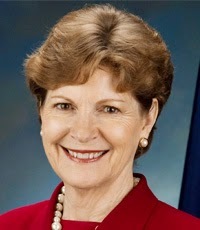 The only woman in U.S. history to be elected both a Governor and a United States Senator, Jeanne Shaheen has been committed to serving the citizens of New Hampshire and is known for her common-sense leadership, hard work and dedication to improving the lives of the middle class. She has served in the United States Senate since 2009 and is a member of the Senate Committees on Armed Services, Foreign Relations, Appropriations, and Small Business and Entrepreneurship. USINPAC has always supported Jeanne and continues to support her. Your contributions help USINPAC support candidates for political and legislative offices, and fight the issues that concern the Indian-American community. We urge you to consider contributing any amount that you can to make USINPAC strong! Let your voice be heard: Support USINPAC! 1455 Pennsylvania Avenue NW, Suite 400, Washington, DC 20004.